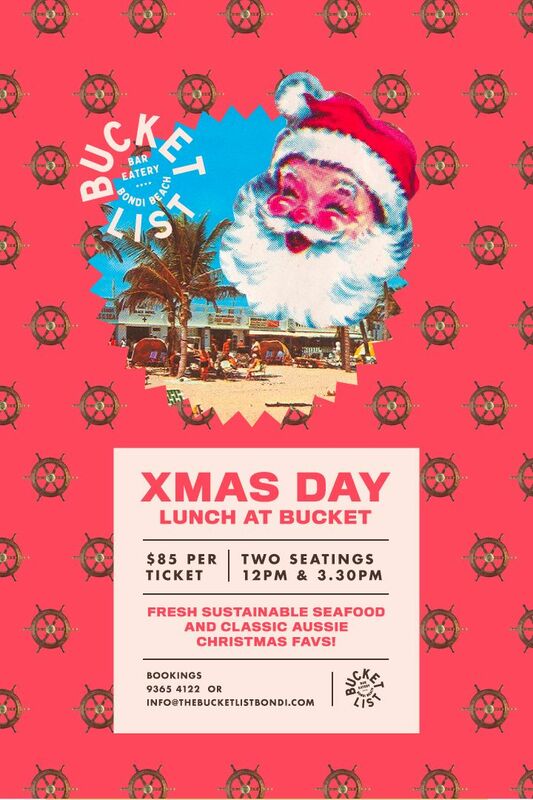 The Bucket List | Bar Eatery  Bondi beach - Christmas Day on Bondi Beach! Christmas Day at Bondi Beach! Unfortunately this event is now FULLY BOOKED. We will however, be open for walk-ins on the day (no bookings).